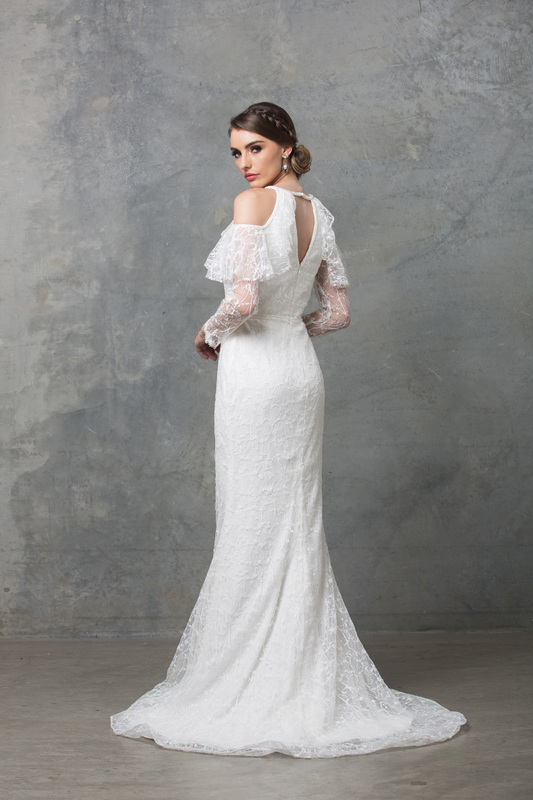 Exude elegance in the Ophelia long sleeve wedding dress, a soft lace overlay with exposed shoulders this modern fitted silhouette has a bohemian feel. 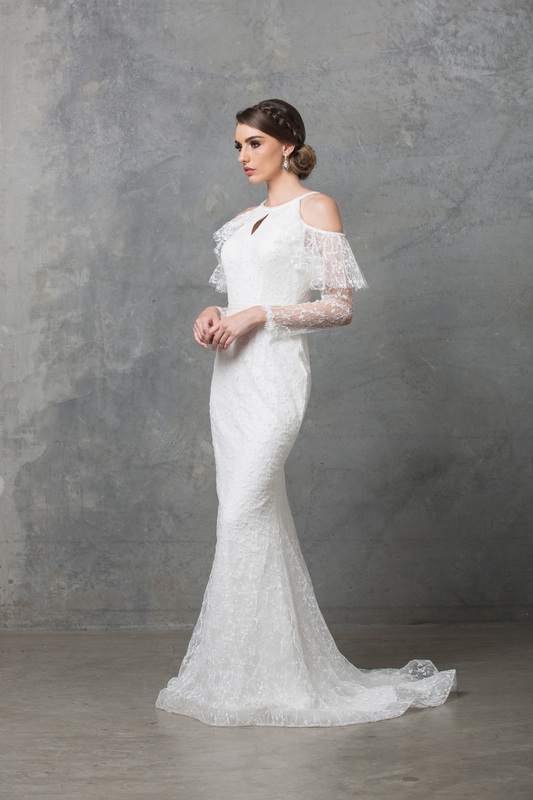 The Ophelia long sleeve wedding dress is elegant and modern featuring sheer long sleeves with a shoulder cut out design and a romantic ruffle edging which is encrusted with crystal beading. Slim line figure hugging silhouette featuring front and back keyhole neckline finished of with a delicate beaded belt.